As it has been known, it has been 33 days since the hunger strike by Kurdish Political prisoners and it is still continuing. Now there is a real threat on their lives and the situation is worsening as the health of some of them are deteriorating. The Kurdish Political prisoner’s demands were to be isolated from drug dealers and other criminals as well as to end the pressure of them by Intelligence agents. According to the information we have received, some of the prisoners demands are submitted. We are as KODAR (Free and Democratic Society of Eastern Kurdistan), congratulate the hunger strikers on their achievement and we ask them to break their strike up and do not put their lives at risk any more. However, the Islamic Republic of Iran must give all rights to the prisoners after stopping their strike. 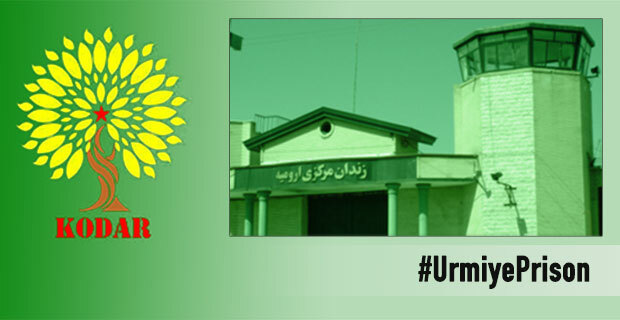 Once more, we congratulate the hunger strikers in central prison in Urmiye on their activity and whoever supported them in Kurdistan and Kurdish Diaspora.